Wasps are a diverse group, estimated at over a hundred thousand described species around the world. 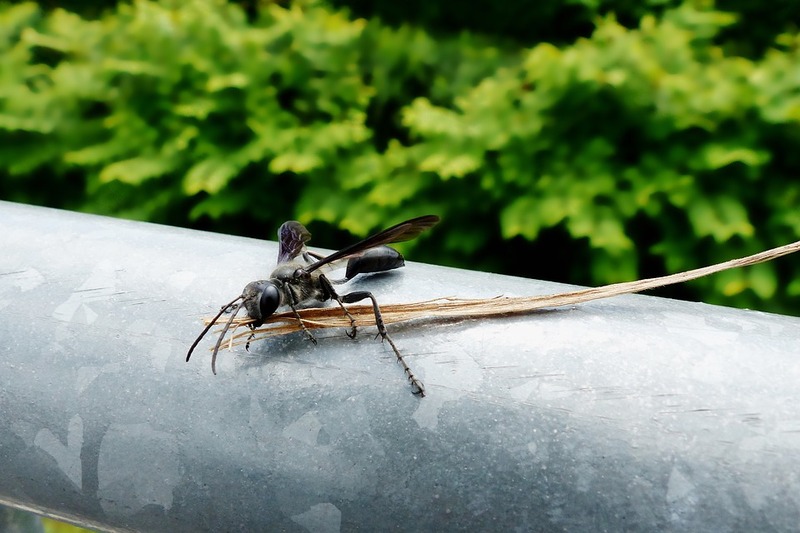 Wasp build communal nests made out of a papery pulp by chewing wood. Having only one queen in the nest, she will lay all eggs for the colony despite the fact that non-reproducing workers are genetically female. While most nests are found in trees, some are found underground or in other cavities.